In recent years I have become more particular about what I eat and wanting more and more to have my own garden like my parents did when I was growing up. Every trip to the grocery store took me longer as I began to read the labels and scrutinize the ingredients more carefully. 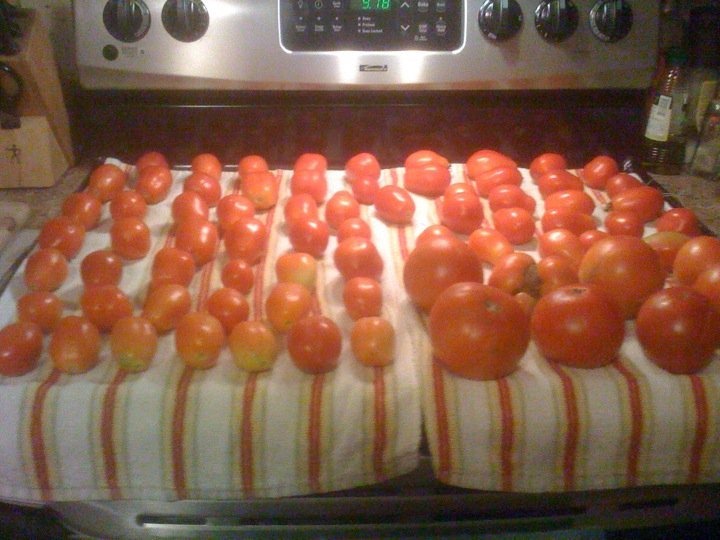 This past summer, we had a bumper crop of tomatoes. From 6 starter plants and 3 volunteers, we ended up with a boat load of tomatoes. We had Big Boys, Cherry, and Roma tomatoes galore! It was wild! And something about our soil just makes them taste so wonderful that they melt in your mouth. After a friend of mine decided to make marinara from some of the tomatoes I gave her, I thought I could do the same. So here is a recipe that I made up. 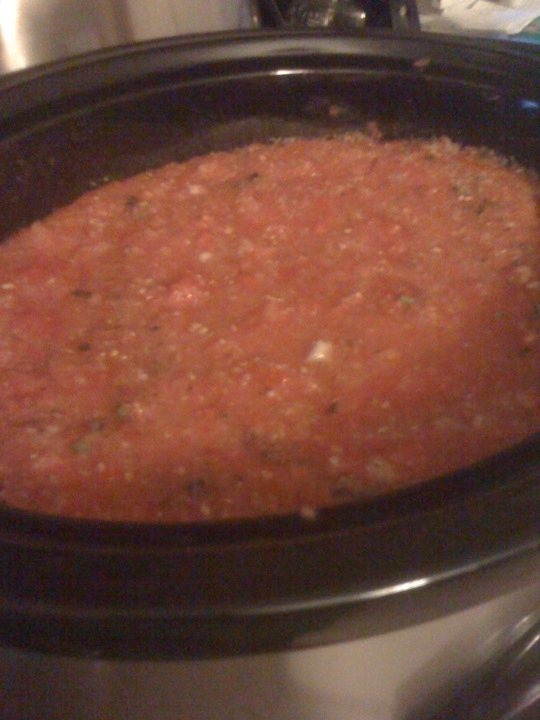 All in all, I cooked it for 20 hours and it made about 3-1/2 gallons of marinara! In the food processor add 4 red and 3 yellow shallots, peeled and 6 peeled cloves garlic, 1 coarsely chopped Vidalia onion, 1 can black olives, drained and 1 can green olives, also drained (the non-pimento variety). Add this to the tomato mixture already in the slow cooker. I set my timer for the maximum – 10 hours. Every hour or so, stir with a wooden spoon. Add more pureed tomatoes if desired. I did not add any sugar to this, however, if you wish I would not add more than a tablespoon of any sweetener or no more than 1/4 tsp. of Stevia extract powder. When the 2nd 10-hour session starts I add large pinch of kosher salt and stir to blend. Let cool and then place in jars or bags for freezing. We’ve used this sauce on several occasions. Just remove from the freezer and thaw slightly and warm in pan. Add to your favorite meat or eat as is. It’s a very hearty sauce that we really love! 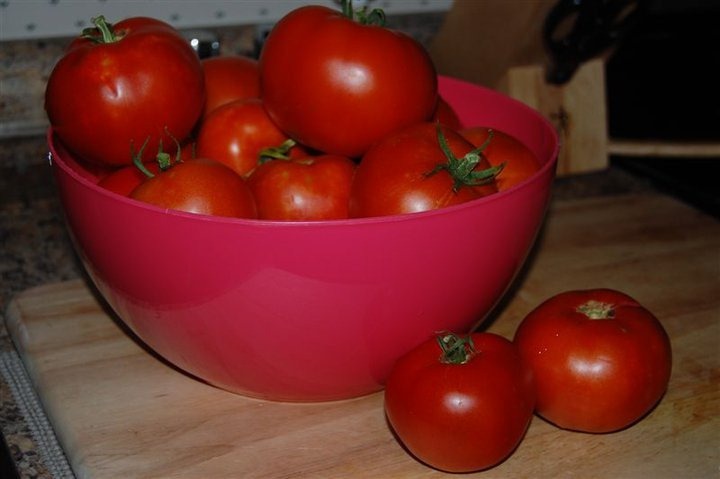 This entry was posted on December 5, 2011, in Cooking, Garden, Marinara Sauce, Recipes, Tomato.